What is the first anime ever produced in Japan? And what is the first anime film and first anime series produced? I heard that it was Astro Boy, is that true? And what is the first ever manga produced in Japan? What is thought to be the first anime was a 3 second clip that is 50 frames long, called Katsudo Shashin. 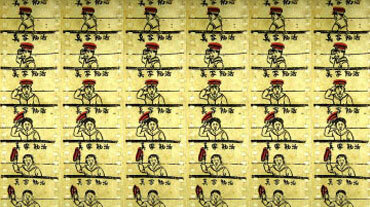 In it, a boy writes 活動写真, which means "moving pictures" on a board. Its creator and date of creation are unknown, but it is thought to be from circa 1907. There is an anime short from June 1917 named なまくら刀 (An Obtuse Sword) that is 2 minutes long and a 1918 film adaptation of Urashima Taro, or 浦島太郎 that are thought to be the first films. The Kyoto International Manga Museum cites Imokawa Mukuzo Genkanban no Maki from April 1917 as the first Japanese produced animation, though the Wikipedia article implies that there were previous works. 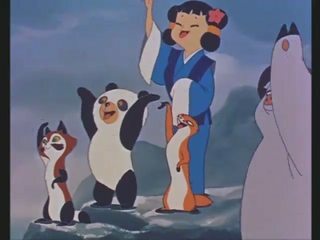 The first color anime feature film, which is sometimes considered to be the first anime by modern standards, is Hakujaden, which was created in 1958. おとぎマンガカレンダー, or Otogi Manga Calendar, was the first anime series to be produced and the first to be televised. It ran from 1961-1964. Astro Boy first aired in 1963, making it one of the older anime series, but not the oldest. However, Astro Boy was the first 30 minute anime series as well as the first anime series that aired weekly. Manga is a little bit more complicated because comics existed and it's hard to draw the line between where something stops being a comic and begins being a manga. Sazae-san was a comic strip published from 1946-1974 that has the longest ever anime series based off of it. Astro Boy is more generally referred to as a manga, and it began in 1951. There doesn't seem to be one specific manga cited as the first manga, though it seems to often be consider to have begun after WWII, as explained in this. Edit: To add to this, Momotaro: Umi no Shinpei (桃太郎 海の神兵) was the first feature-length anime, which means that, at 74 minutes, it passed the 40 minute mark to be considered feature-length. 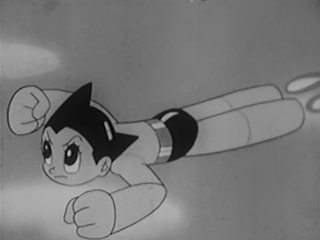 Astroboy (1963) is often thought to be the "first anime", but that's false. It does merit some firsts though: it was the first anime to be broadcast overseas, and also the first anime that was broadcast regularly that lasted a full TV slot's duration. The first known animation to come from Japan is Katsudo Shashin. Experts debate its age, but it's thought to have been created between 1907 - 1911. This short clip was likely shown in a private home to entertain guests, rather than be publicly available. Anime's growth then was primarily attached to live action. Actors would interact with fictional anime characters for a short segment of a show. The most screen-time anime would get would be during advertisements, or occasionally once-off films that were shown as a novelty. The main reason for this is that the production costs for anime were prohibitive if a company wanted any significant amount of time animated. Another area where anime was being used was in the armed forces. Studies at the time discovered that recruits learned faster and remembered better instructional videos that were animated. With the need to train many troops with the appearance of World War 2, anime became utilized more and more. 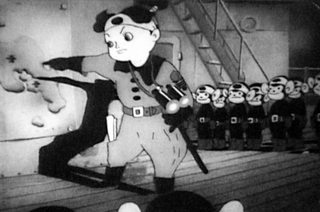 At the height of the war, the first feature length anime film was produced - Momotaro's Divine Sea Warriors (1945) - a propaganda cartoon for the masses. Momotaro's Divine Sea Warriors features a lot of military content. Japan wasn't devoid of animation, however. Disney was doing very well in the West and many of their movies were imported to Japan, and did consistently well in the box office. The Tale of the White Serpent was released in 1958 to try and rival the productions of Disney. Toei (the animation studio responsible) had difficultly making a significant profit off film however, and had to support their work with money made from advertisements. Realising that Intros, Outros, "Previously On", "In the Next Episode" segments could be reused - cutting animation time per episode significantly. Thus anime as a viable industry for television was born and more competitors began to appear onto the market. Flying through the sky at its basics only needs one cel sheet, and a moving background. Two years later (1965), another Tesuka work made a mark on the world - Kimba the White Lion, the first colour TV anime series to be broadcast to the public. Kimba the White Lion also used many of Tesuka's animation tricks, such as repeated segments of running. The development of manga was a gradual evolution from ancient Japanese artworks such as Yamato-e, paintings on folding screens (byōbu) (as early as 646AD), which often told stories when read from right to left. There are many different stylistic developments in (byōbu) artworks, but the next relevant stage for manga is the popularization of portable artworks that told stories. Makimono handscrolls. These existed for many years (pre 300AD) but were mostly for written messages at first. 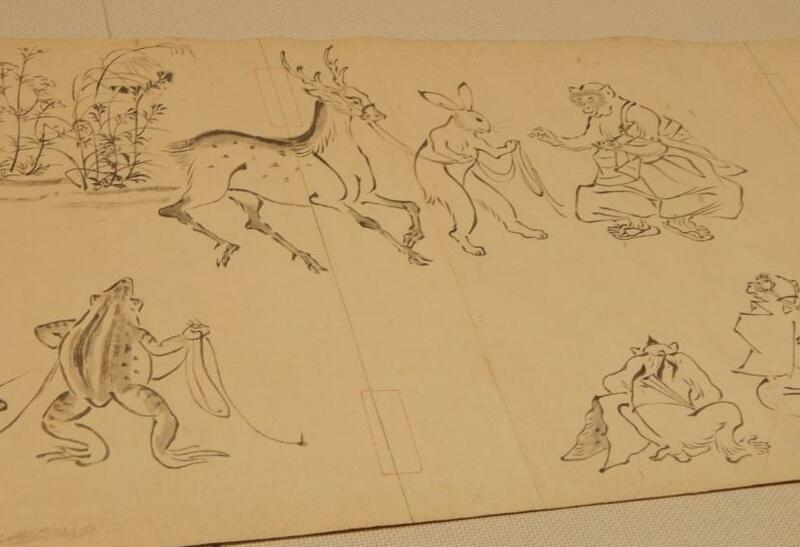 The Scrolls of Frolicking Animals or Chōjū-jinbutsu-giga are attributed by some to be the first manga drawings. These are held in the Tokyo National Museum and consist of several volumes. The invention of the printing press brought ukiyo-e (woodblock paintings) to the general public.Some historians believe these to be the first manga. These were sold commercially for many years from as the 17th century right through to the 19th. Along with ukiyo-e woodblock paintings, other woodblock paintings started to become popular when many of them were bundled together and sold as a set. Kusazoshi picture books (** 1600-1868**) in varying forms (the colour of the cover of the books often indicated the genre/target audience) were now available to the general public as a commercial product. These were primarily written stories with picture accompaniments, but are sometimes regarded as the origin of manga. 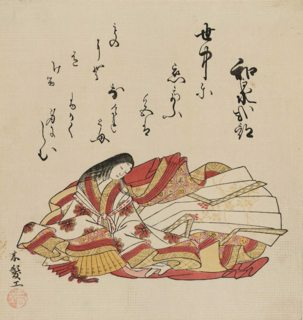 the poet Izumi Shikibu - by Komatsuken circa 1765. With printing came newspapers and magazines, and at certain stage, comics strips began to be printed in newspapers - mostly strips that were sent in from the public. 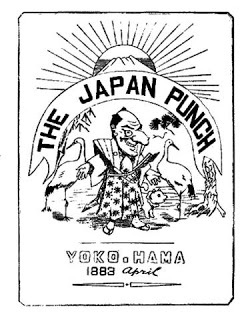 In particular, Japan Punch was known for its political-based cartoons. These were very popular with the public and in 1874, the first comic-strip magazine was published - Eshinbun Nipponchi. These productions are argued by other academics to be the conception of manga. As you can see, the first manga is very much up for debate. This a very interesting topic and believe it or not, this long post is very summarized. I'd recommend some of the following books to learn more about anime history.